Ryan Reynolds can do no wrong in the world’s eyes. Perhaps, after an appearance on Good Morning America the 40-year-old actor’s wife, Blake Lively, might disagree. Reynolds claimed to be in the dog house after he jokingly criticised Lively’s cooking, and, adding insult to injury, said she had nothing on Jake Gyllenhaal’s culinary skills. Blake [Lively], my wife, is very good at cooking… and Jake might be just a little bit better. He can throw down. It gets very competitive between the two. Funny enough, I’m actually living right now in an actual dog house. Baxter is usually staying in there, but he’s moved out for now. He’s been upgraded to the main bed. I wasn’t totally in the dog house because they get competitive with the cooking. They’re both incredibly accomplished chefs. 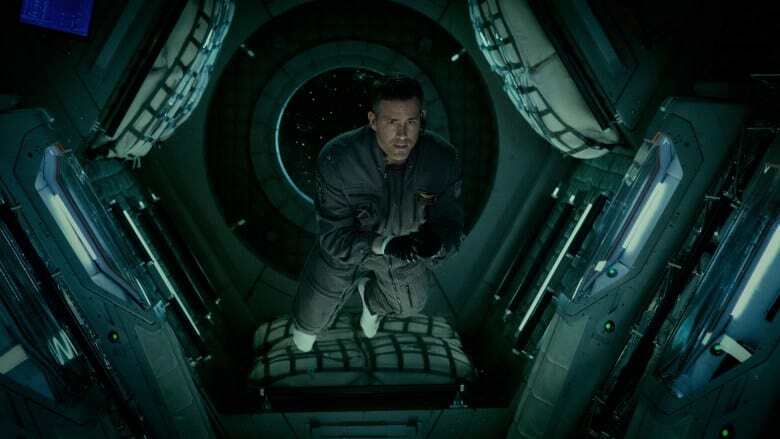 Gyllenhaal and Reynolds met while filming Sony Pictures’ new intergalactic offering, Life, in which they both play astronauts on the verge of a discovery both ground-breaking and horrifying in equal measure. The extra-terrestrial thriller, Life, promises to give viewers the ‘first look at life beyond Earth’ – and wish they’d never seen it. Life is coming to a cinema near you on March 24 2017.